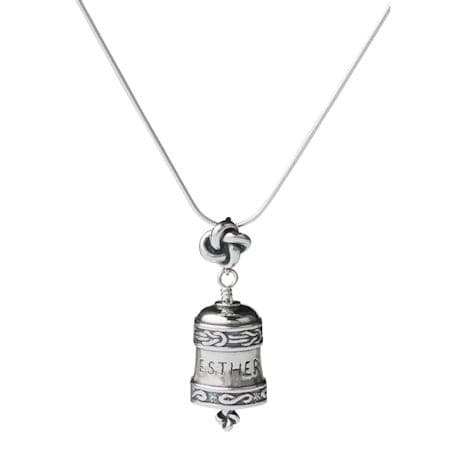 This exquisite little bell honors any special relationship. It is a bit larger than a thimble and handcrafted in sterling silver with a gentle ring. We'll engrave any name or endearment you choose. Specify up to 10 characters and allow 4 weeks. 1 3/4"h x 5/8"w x 9/16" d. No rush delivery or gift box. 18" sterling chain sold and ships separately. Item can only be shipped within the Continental US.